As I stated in a previous blog post, I wanted to examine the stitches when the machine is in motion. This week I am planning on working with paper embroidery, so I could sew onto cardstock and become the machine myself. 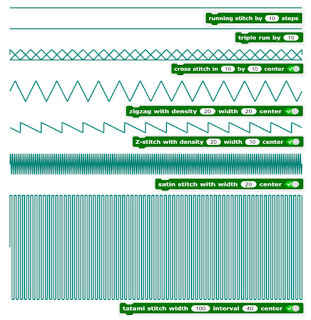 I will then print the code onto fabric, compare the motion and look at how the stitches come together. When you do that, can you document it in pictures documenting the single steps? Curious about it!